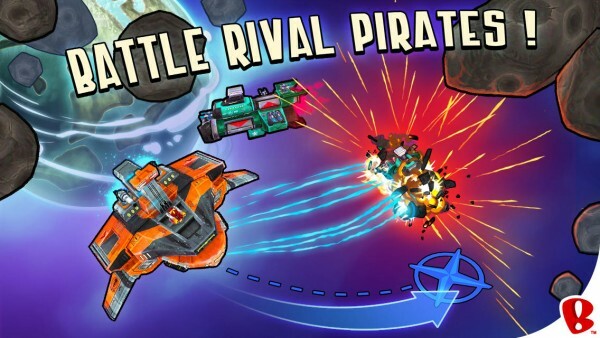 PlunderNauts (Free) by Backflip Studios and Lightbox Interactive lets you live out your dreams of being a space pirate with your own starship that can engage in epic space battles. I mean, who doesn’t want to be a greedy space pirate and plunder planets for loot? I remember when I watched “Cowboy Bebop” in the early 2000s, I was mesmerized by the amazing artwork and the imaginative world where humans had starships and could travel to various planets and galaxies. It made me think of how cool it would be when we could actually do all of that in real life. 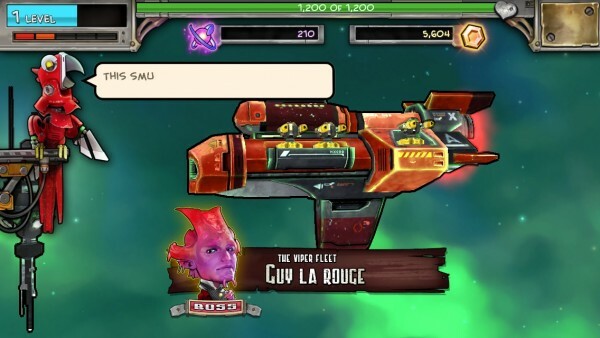 I know — that day may never come, at least not while I’m around, but PlunderNauts has given me a sense of satisfaction that I may not have obtained otherwise. The visuals in PlunderNauts are absolutely fantastic. 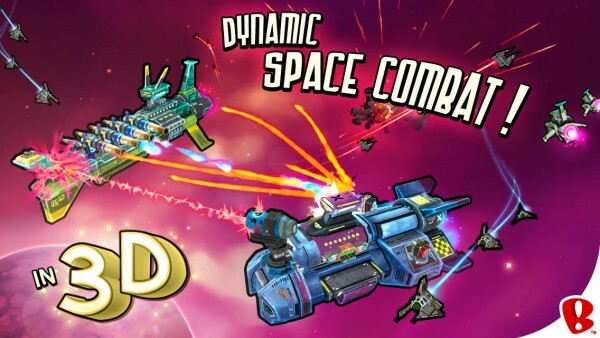 The game has a graphic style that reminds me a bit of Borderlands, while the universe and the variety of starships you come across give off that “Cowboy Bebop” feel. Personally, I find this combination to be perfect. 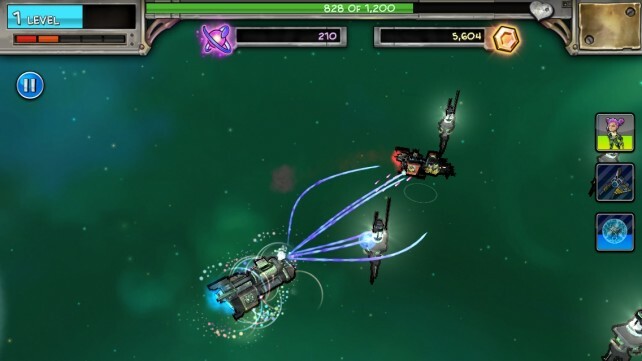 The universe of PlunderNauts is quite vast, and the different planets you’ll explore are colorful, vivid, and full of rich details. The art of the game doesn’t just stop at the environments you’re in, either — each ship looks unique and has its own specialties, while being downright gorgeous to look at. I’m not kidding either — you can see everything about each ship, down to the texture of each component. It’s quite amazing. 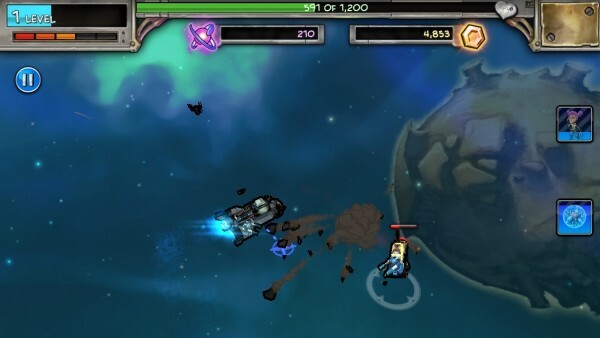 The music in PlunderNauts is quite soothing while you are exploring the map, but you’ll be too focused on battles to hear the background battle tunes. Sound effects in the game are fun, though, as you hear every blast from your turrets to even crashing into the other ship if you’re not careful. 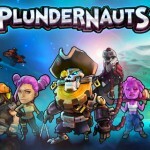 PlunderNauts is a level-based game, with a little bit of freedom for players as there are different paths to take once you hit some forks in the road. 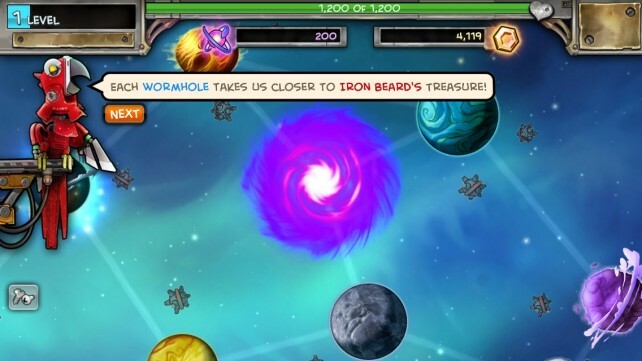 Basically, you’ll have to navigate your ship all the way to the big, shiny wormhole that will take you closer to cyborg pirate Ironbeard, who has the most valuable riches of all the galaxy. You’ll need to take control of each planet one-by-one, until you make it to that wormhole. 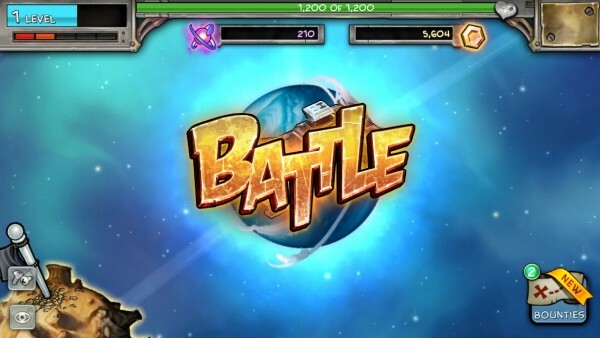 Levels will consist of things like collecting cargo, as well as plenty of battles against other pirate ships. 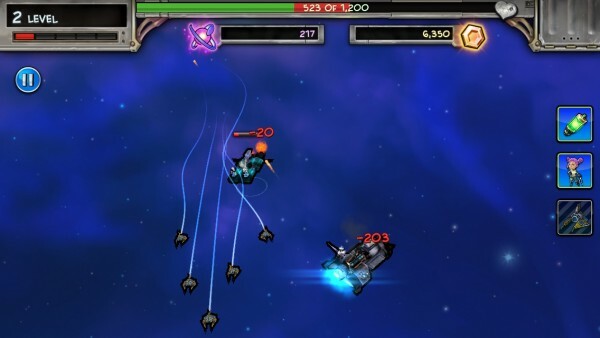 I’m finding the battle system in PlunderNauts to be incredibly fun. 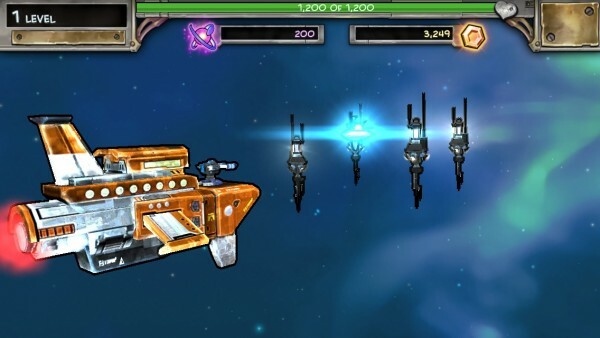 You may face off against one large ship, or even multiple, smaller ones when trying to take over a planet. To move your ship, just draw a path for it with your finger. 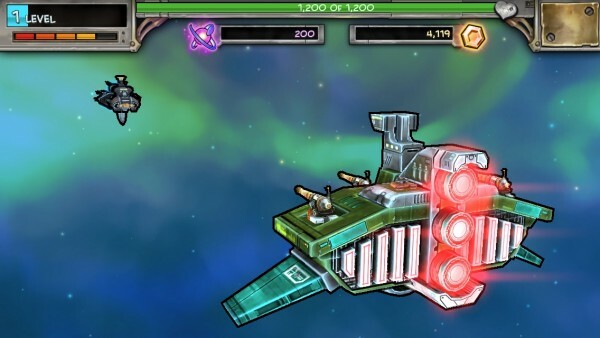 You’ll be able to see your weapon range as your ship moves, and if the target is within range, you can tap on it to attack with your turrets, missiles, and cannons. You’ll need to wait a second or two before you can fire again, so you’ll still need to move around to avoid being a sitting duck. The enemy health bar shows up when you are attacking, and you can keep tabs on your own health bar at the top of the screen. Of course, some times battles need a little more pizzazz. 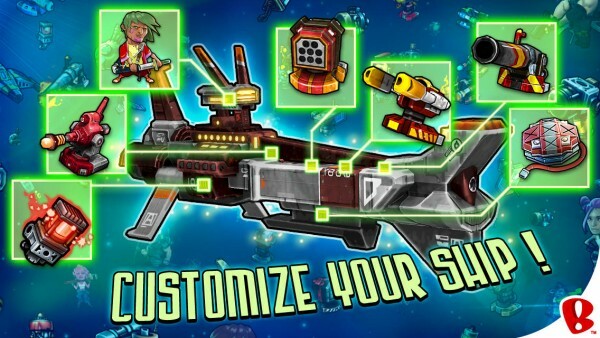 You will be able to acquire various ship captains, each with their own unique abilities. 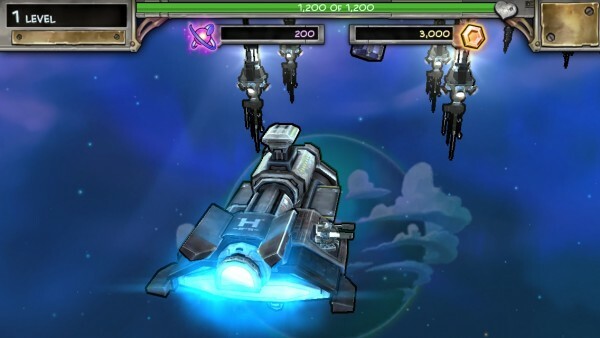 When they are on your current ship, you can activate their skill by tapping on their portrait button off to the right hand side. These captains can do things such as boost your speed for faster maneuvering, increase firepower and range, and much more. 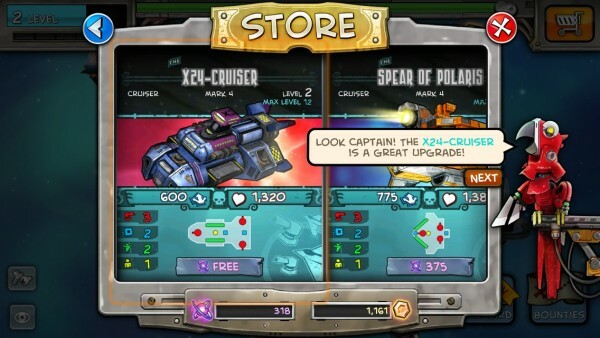 You start out with one captain, but as you earn gold coins, you can get more in the shop. 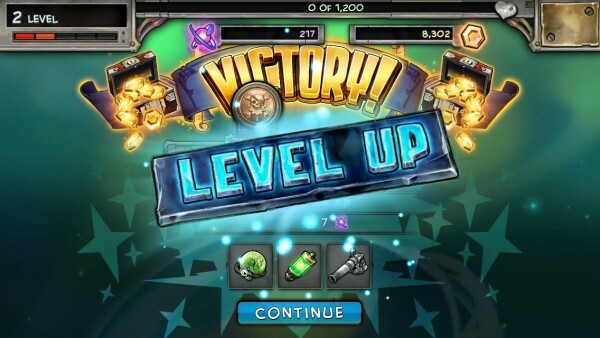 There are other power-ups available as you play. You’ll have shields, which can absorb enemy fire for a brief amount of time, and you can activate the shield with the button on the right edge of the screen. 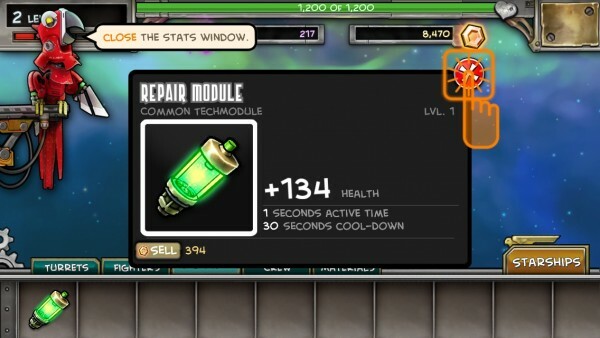 Your ship may have some tech mods that can do various things, such as regain some health, with a single tap of the button. 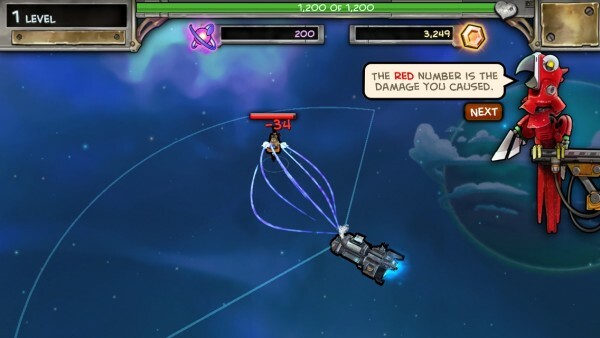 There are even fighter ships that you can summon out that will come to your aid on the battlefield. All of these specials can be activated with a touch, but you’ll need to wait for it to recharge before you can use it again. This makes you think a bit, because a little planning is good when it comes to using these at the right times. 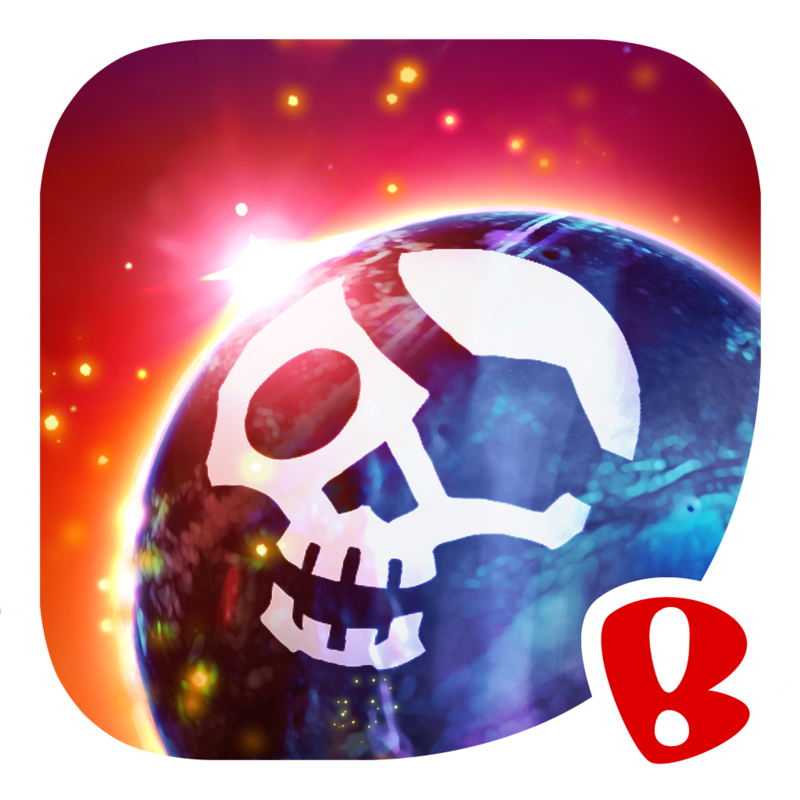 Once you defeat an enemy and capture that planet, you’ll be able to plunder it for gold and loot, as long as it remains in your control. 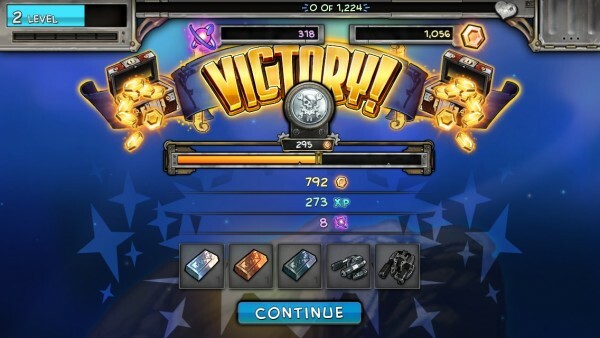 Defeating boss ships allows players to salvage for parts and materials, which is incredibly valuable. Materials can be forged to create special parts with effective properties to help you in battle. 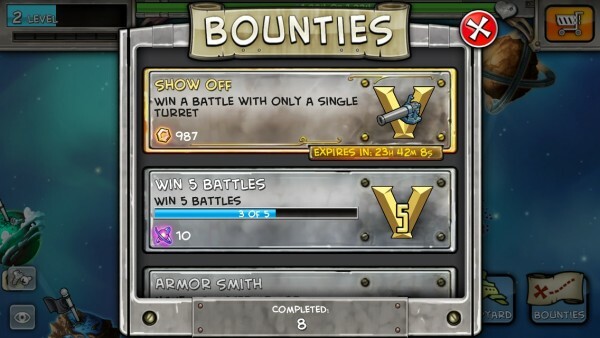 There are also bounties, which are basically just quests, that you can complete to get more rewards. As you make your way across the map, you’ll accrue two different types of currency: gold coins and antimatter. 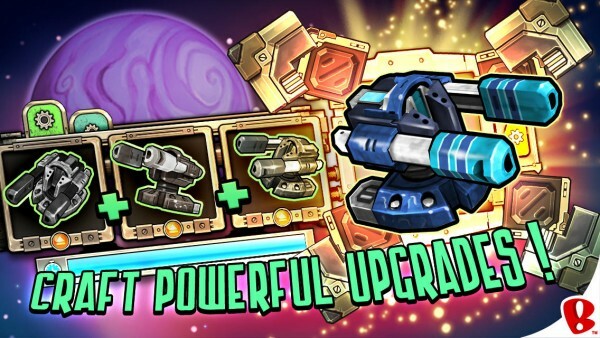 The antimatter is the “premium” currency in the game, but the developers have made it actually pretty obtainable without having to spend anything. Of course, it may take you a while to get the amount you really want for a cool new upgrade, but at least it doesn’t force you to pay for it. 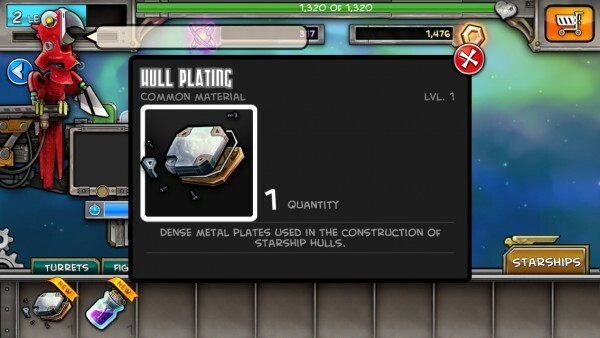 The Store will contain different starships you can purchase (not all starships are equal), as well as items and upgrades for your ships. 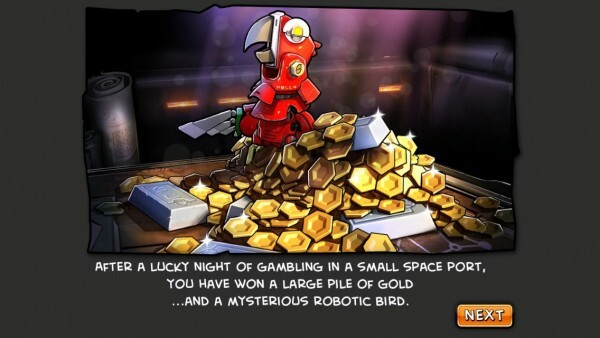 Of course, you’ll be able to purchase more gold and antimatter through in-app purchase as well. The Store receives different “shipments” throughout the day, so your best bet is to keep checking back regularly for some good stuff (a timer at the top of the store tells you when the next shipment is). The items that you can purchase include turrets (includes missiles and cannons), fighters, tech mods, crew members, and even materials. 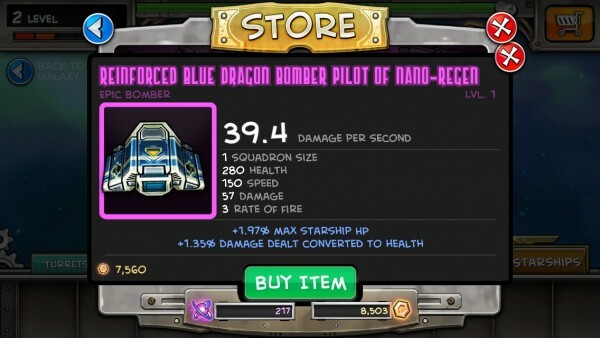 I really like the idea of regular shipments coming in the shop, because it keeps things fresh, and you’ll have reason to keep coming back to the game. Plus, there’s a chance that you can find some rare items, so always keep an eye out. 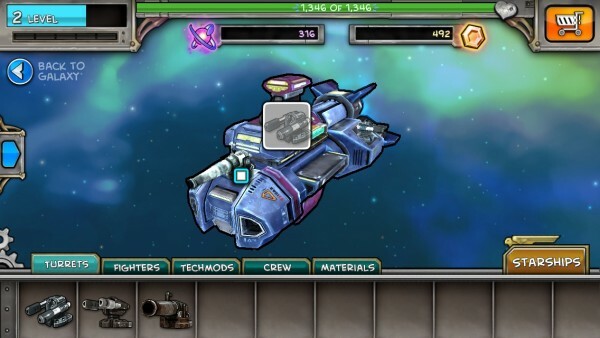 To customize and upgrade your ship, you will want to go to the Shipyard. 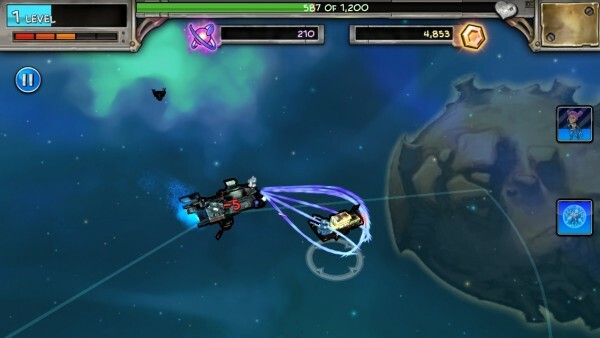 This section allows you to change ships freely, as well as change the equipment through drag-and-drop. It’s simple, intuitive, and there are so many different possible combinations. 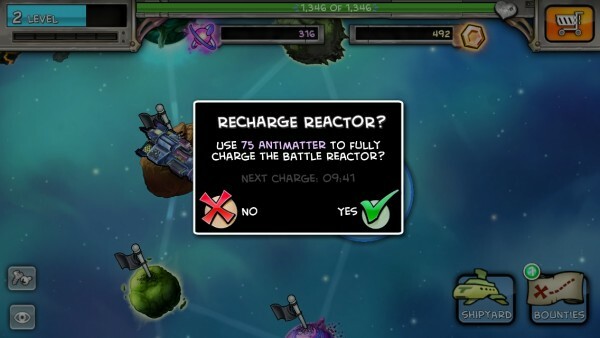 I’ve really been enjoying PlunderNauts, with one exception: the use of an energy system. Each battle will take one energy, and you have five bars in the gauge. They will refill over time, of course, but once you run out, you’ll either have to wait or pay for a refill with antimatter. 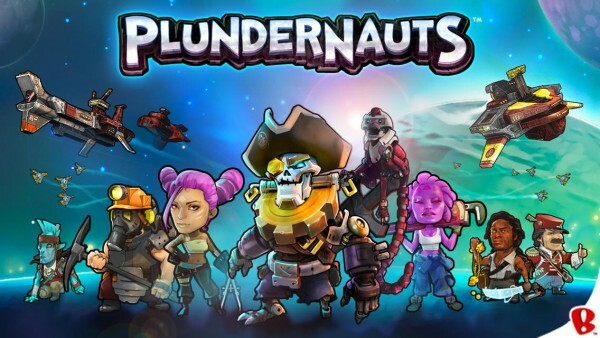 I really dislike the energy system that is used with most freemium games, and PlunderNauts is a game I would have preferred to see as paid, so I can play as much as I want. Another thing I don’t quite like is the fact that you need an Internet connection in order to play — if you don’t, well, you can’t plunder the galaxies. I still find PlunderNauts to be a very fun game, and the line-drawing mechanic for battles does make it quite challenging. I recommend checking it out for yourself, especially if you’re in the mood for an epic space pirate adventure. 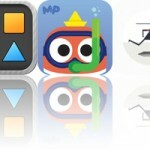 You can find PlunderNauts on the App Store as a universal download for free.